This book is genius. It is a fantastic balance of practical advice, fierce punning and tongue in cheek humour. E bought it as a Secret Santa present a few years ago but then loved it so much she couldn’t bear to give it away. Having now read it, I totally understand. The book begins with some interesting pages of background for the aspiring dancer. From advice on what to wear, through a history of dance (learn how racy the waltz was when it first appeared) to an overview of some game-changing dancers (John Travolta, Michael Jackson etc) it does everything it can to get you in the mood for dancing. Once you know the basics you can can fancy up the moves with handclaps, finger clicks, mischievious winks, swaying hips, dipping shoulders and so on. I fear the book has more faith in my dancing ability than I have. We then get into the meat of the book. For each of the 100 dance moves it gives us a bit of history and useful tips and suggestions as well as “clear instructions for a successful bust”. So, are you ready to bust a groove? can be busted either standing up or, for the more supple, down on one knee. There is a fine line between looking like Tony Manero and looking like someone who should sit down and stop dancing. Maybe they have got my dance level after all. dusting the floor with talcum powder before you practice will help your feet glide more easily. I’m not sure what sort of dance establishments Pagett frequents, but I’m pretty sure turning up with a bottle of floor-talc could lead to some interesting conversations in most discotheques these days. I also learnt some interesting facts. For instance, did you know that the dance moves for Agadoo were originally made up bar staff from a club in Northern England before they were taken on by a band. How awesome to have invented a dance craze! Long the preserve of frustrated men of a certain age who long ago swapped ambitions of becoming a god with a guitar for a career in insurance…think spandex, think hair, think stadiums, think METAL. 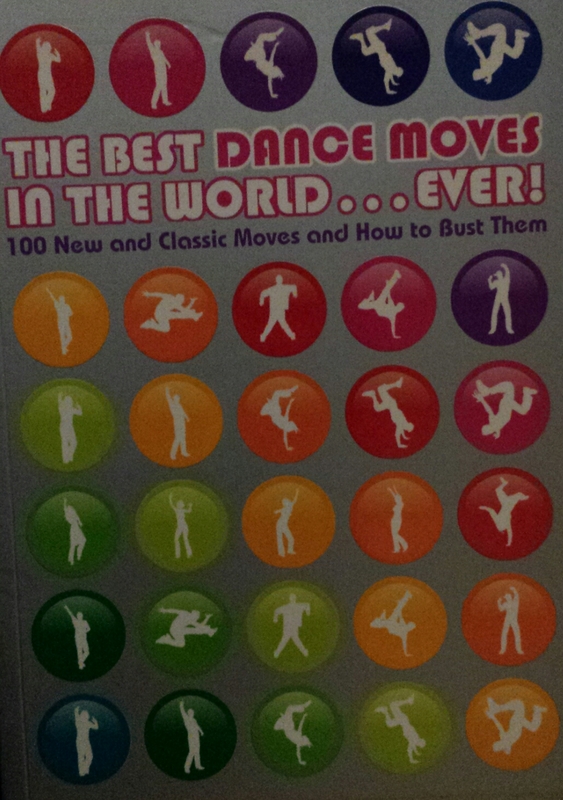 Basically, any disco move you can think of is in this book. From big-fish-little-fish-cardboard-box, to the twist, vogue, the lawnmower, stack the shelves, Riverdance, the macarena, the hand jive, the time warp, and the moonwalk – this is basically a fundamental guide that should be given to all people about to embark on their life in the world. I strongly recommend that you purchase a copy now. And then, as the book recommends, it is all about practice, practice, practice. Tags: book, book review, books, dance, dance moves, disco. Bookmark the permalink. Sounds brilliant 🙂 But does it cover bogling? I need this book. At the very least I need to buy it as a present for many people. And I need to practice my mischeivious winks!! Talc is quite normal in lindy and Jive…..we love it! Geeeee! I wish I could, but…….